Professor Maschmeyer’s ground-breaking research in materials and catalysis led to his meteoric rise in international stature. His guiding principle of ‘selectivity tuning by active site design’ underlies discoveries from pharmaceutical synthesis to process intensification and biofuels. 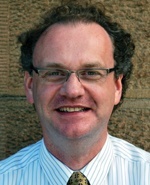 A rapid rise to Assistant Director of the Davy Faraday Laboratories, The Royal Institution (two years after his PhD) then Professor/Head of the Department of Applied Organic Chemistry and Catalysis, Delft Institute of Chemical Technology and Vice-Chairman of this Institute, has been mirrored by his outstanding record since his return to Australia in 2003 as a Federation Fellow and subsequently a Future Fellow.